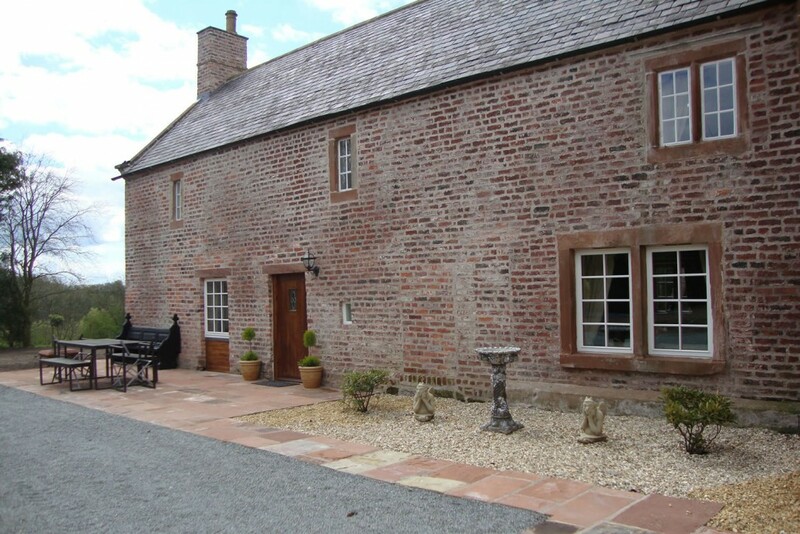 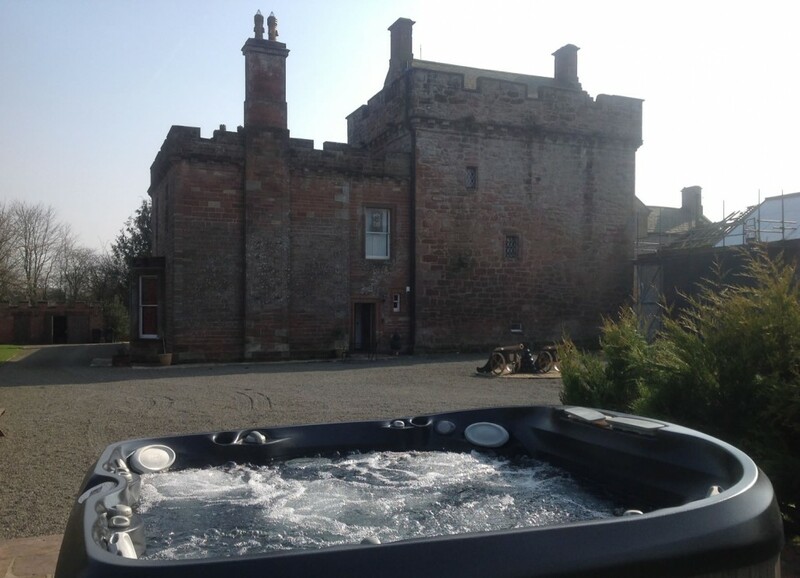 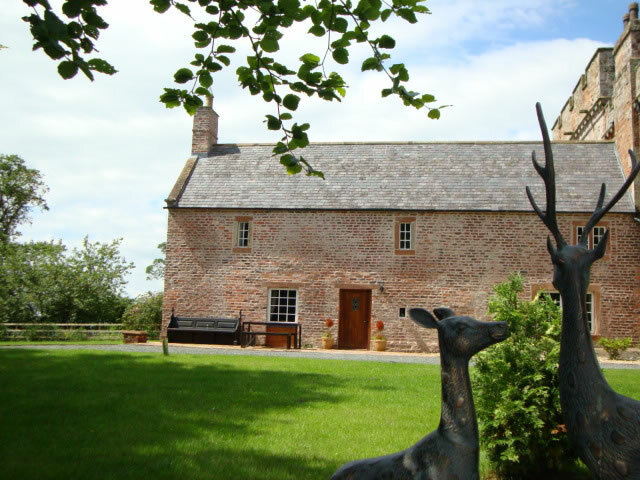 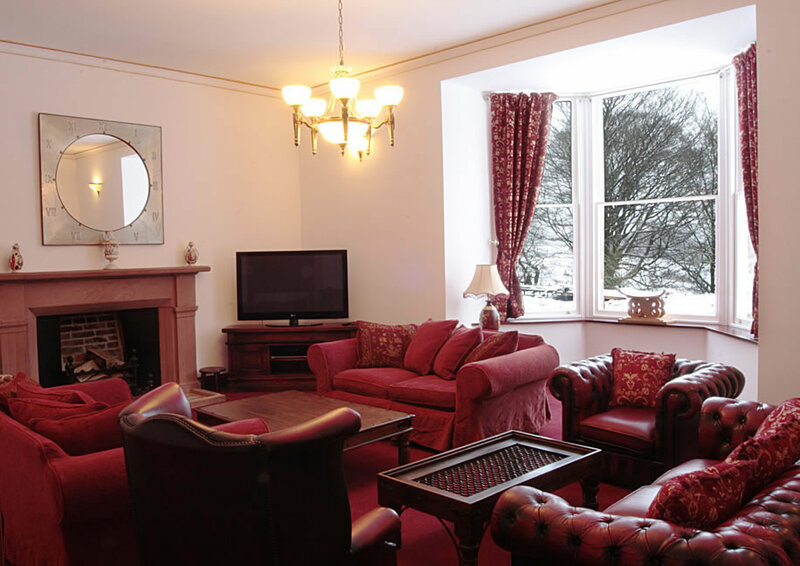 Brackenhill is the perfect location for a luxury break or holiday exploring the Scottish Borders, the North of England and the nearby Lake District, or a perfect venue for your wedding accommodation after a Gretna Green Wedding. 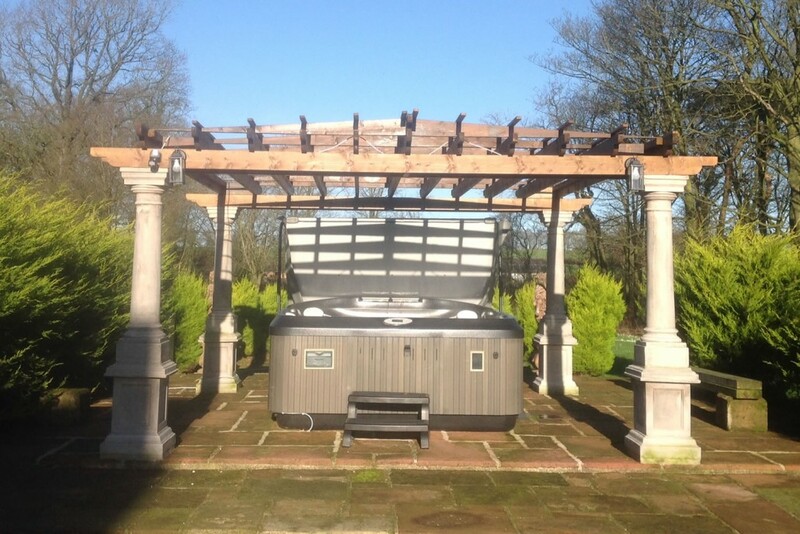 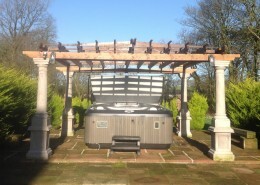 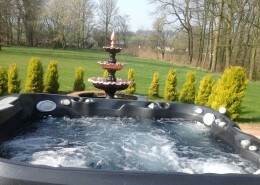 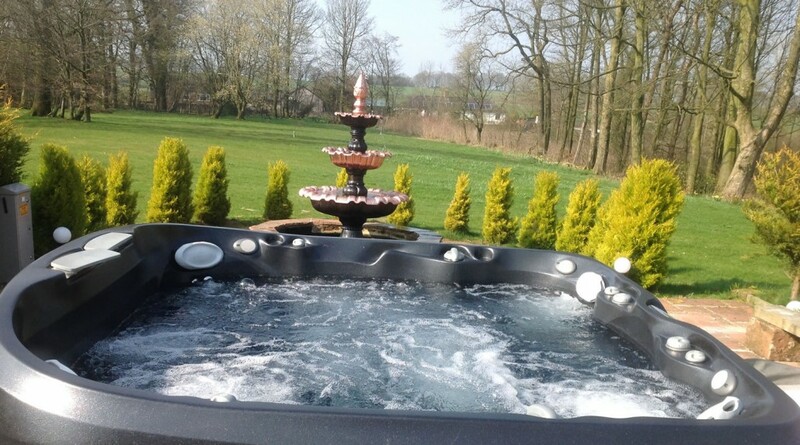 Relax and unwind in your own hot tub jacuzzi set in a pergola in the grounds. 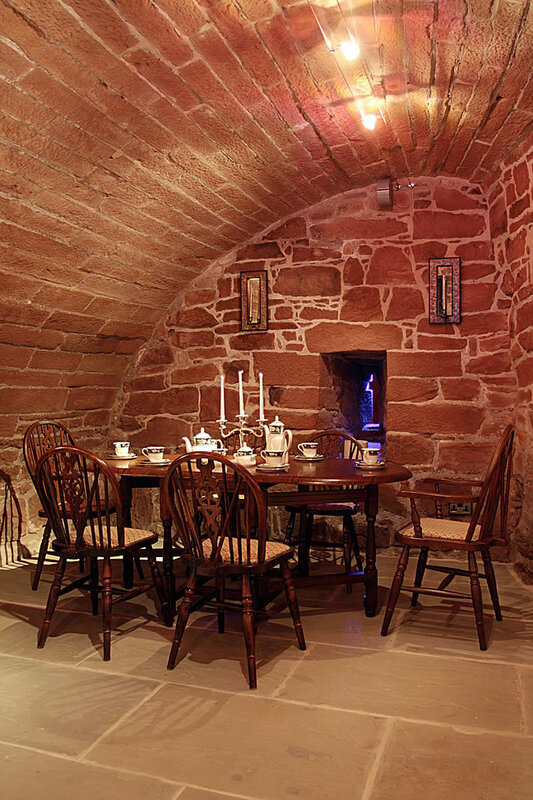 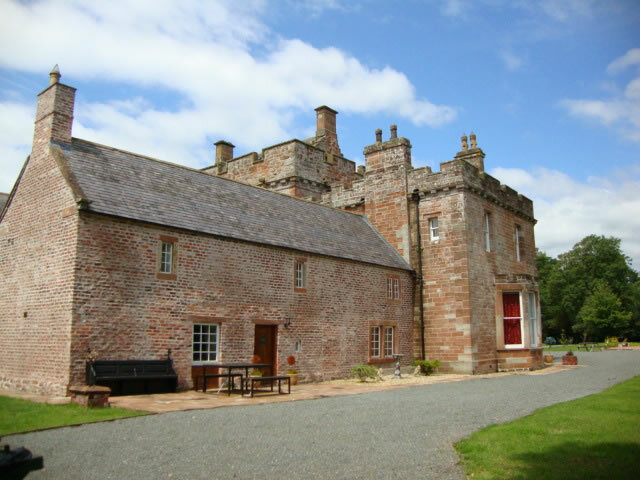 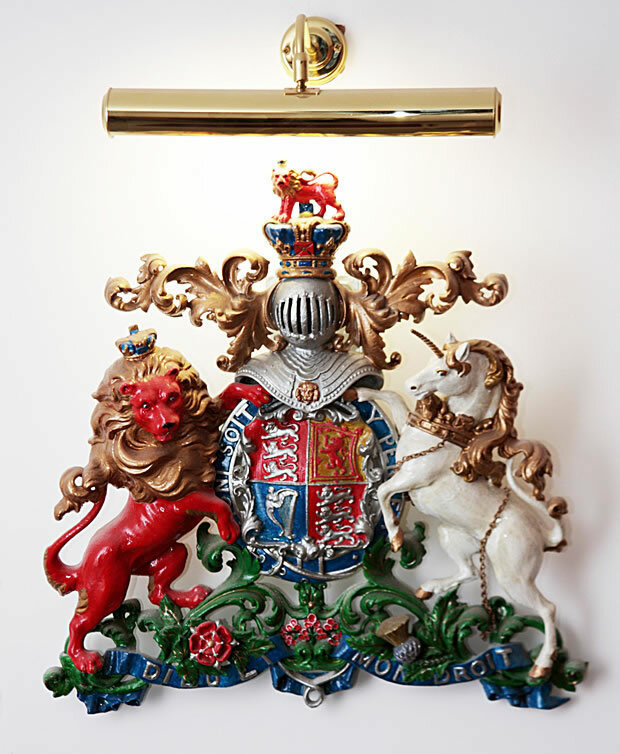 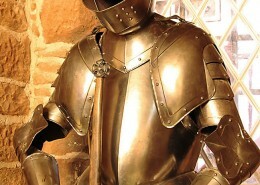 We have two unique self-contained properties available for accommodation at Brackenhill: The Tower House and and The Jacobean Cottage. 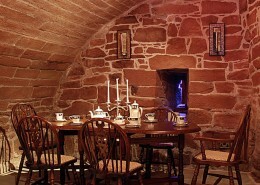 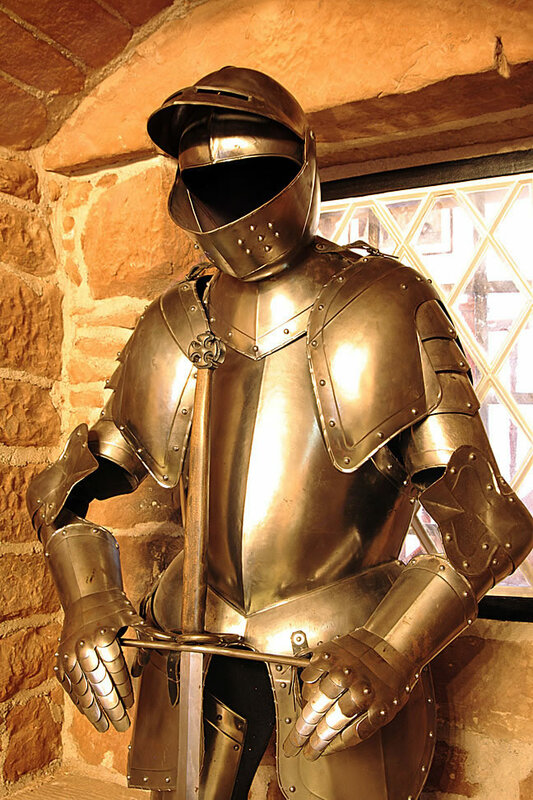 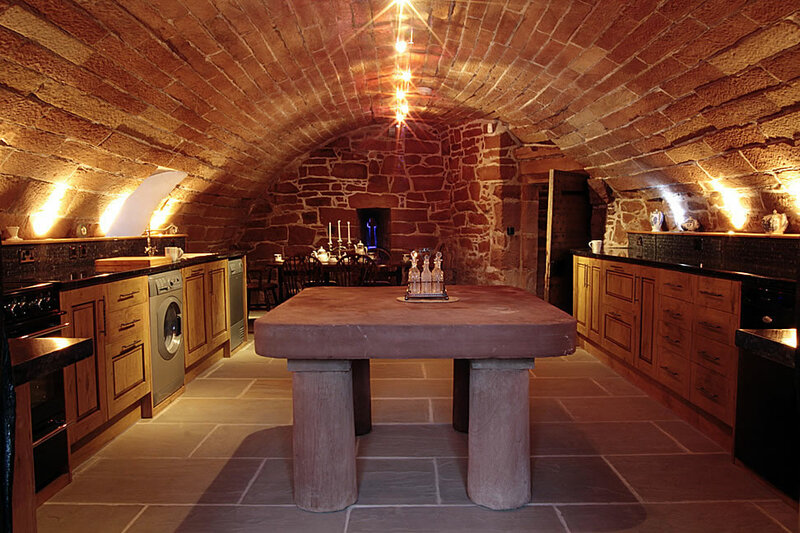 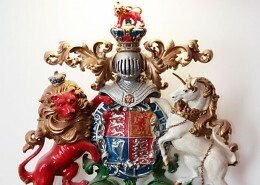 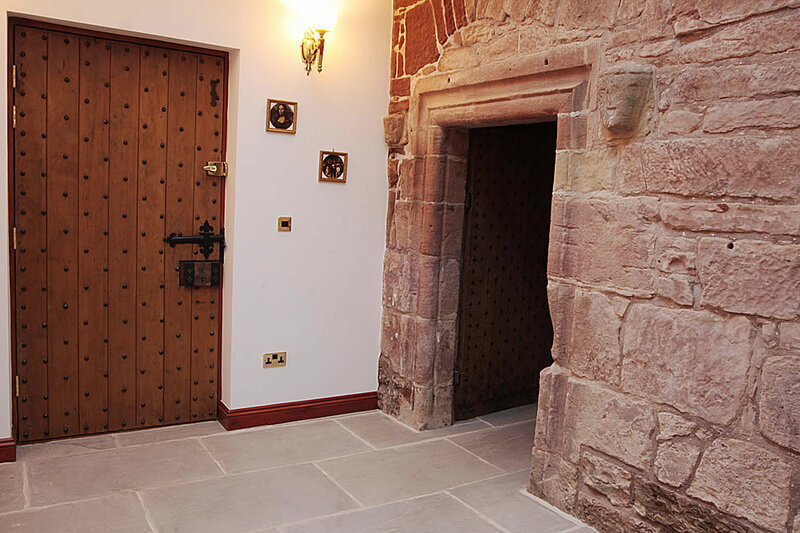 Outside the Tower, guests have access to 2.5 acres of gardens, a gas bbq and extensive woodland and river walks. 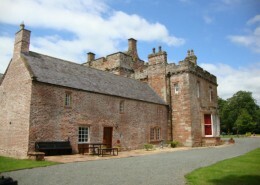 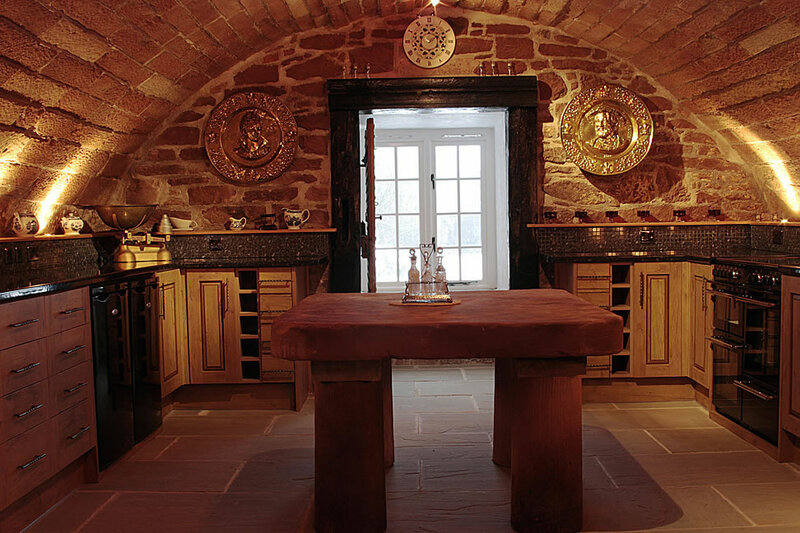 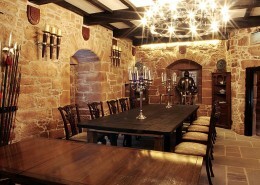 The Hunting lodge comprises the entrance foyer and w/c. 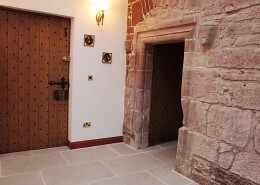 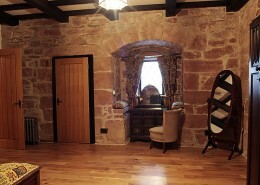 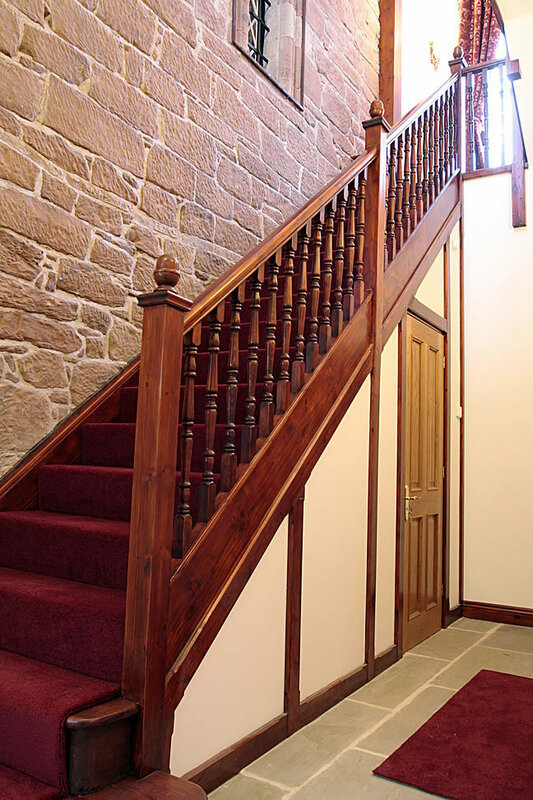 The entrance hall leads to spacious lounge, stairs to two en-suite bedrooms and tower entrance. 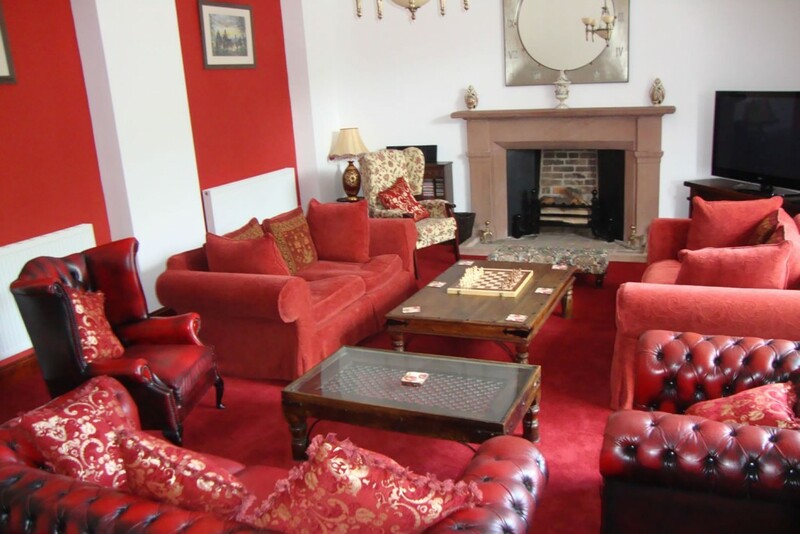 Lounge – a 25’x17’ spacious lounge complete with 52” plasma TV, DVD (selection of titles) and Hi Fi along with selection of books, tourist information and games. 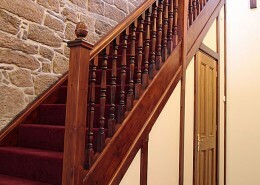 Upstairs landing leading to two bedrooms; the landing has a study area with computer and internet access. 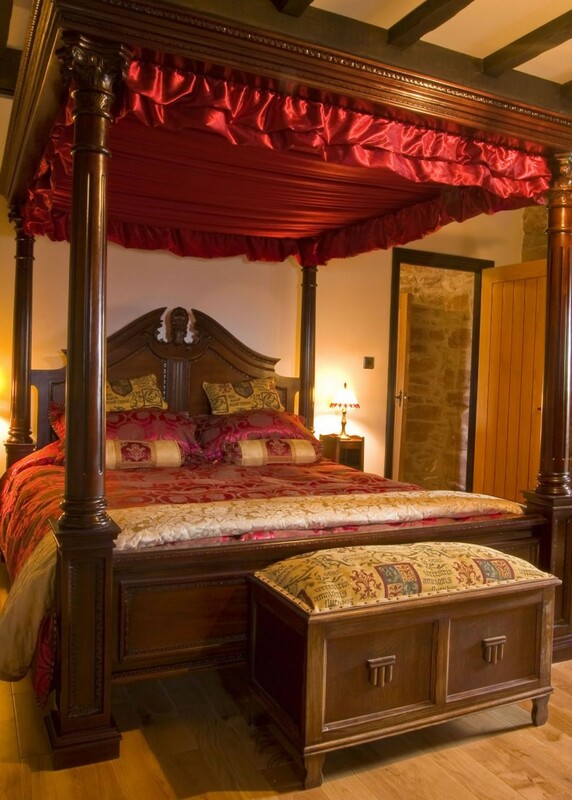 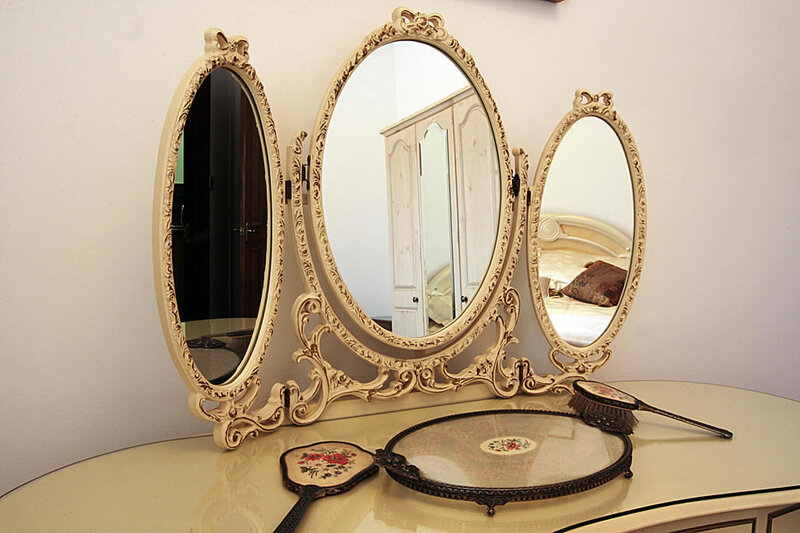 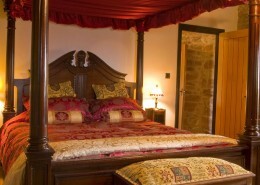 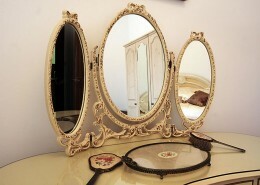 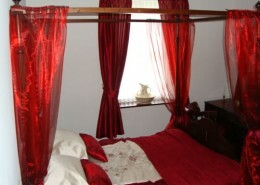 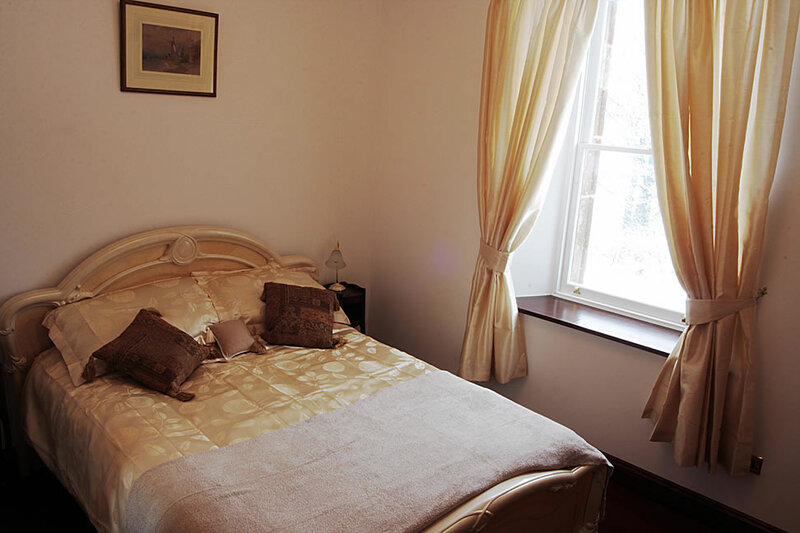 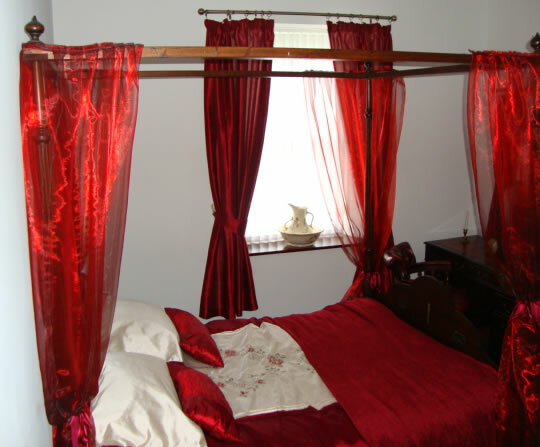 Bedroom 2 – a double bedroom with four-poster bed, period furniture and en-suite shower and w/c. 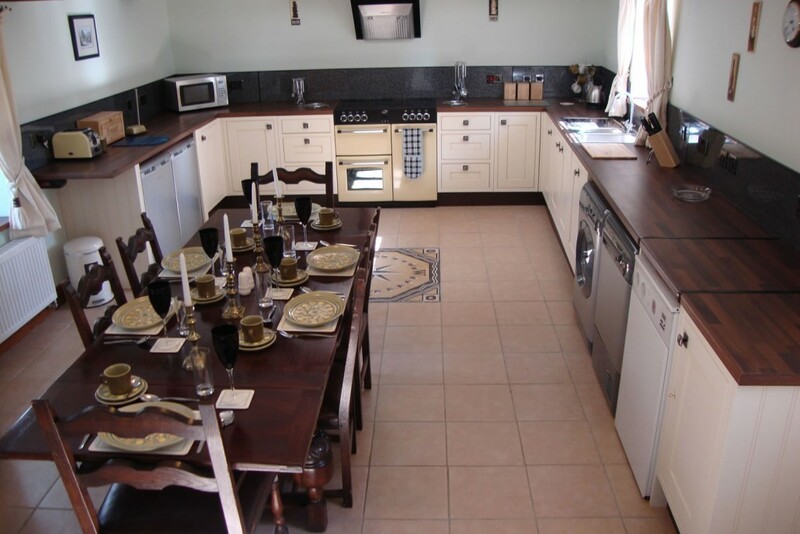 Ground Floor: kitchen complete with range type cooker (electric) fridge, freezer, dishwasher, washing machine / dryer, microwave, etc complete with dining area. 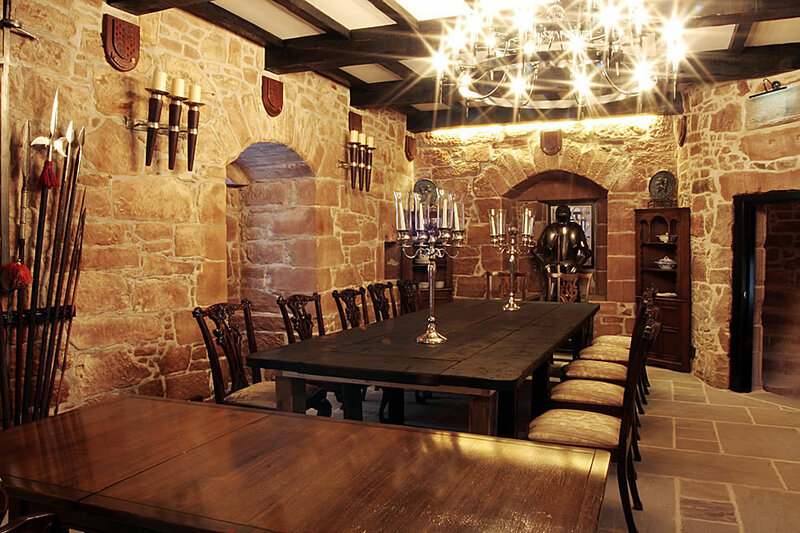 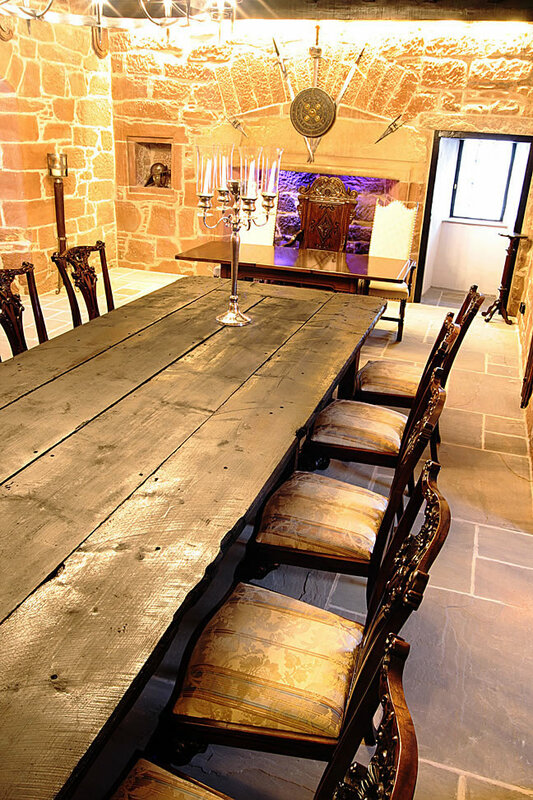 First Floor / Great Hall: a magnificent feature dining room with table seating for 14 and head table for 4. 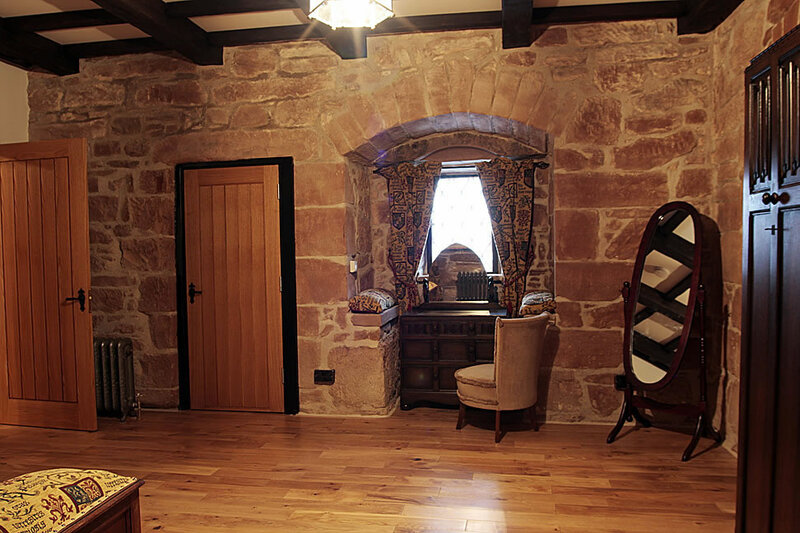 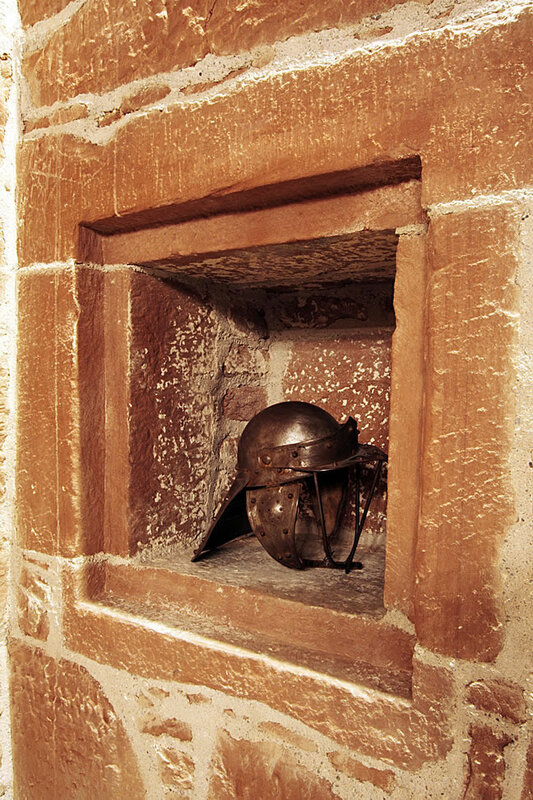 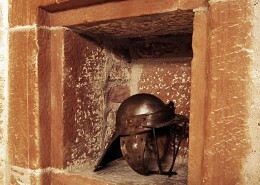 This room has a wealth of original features. 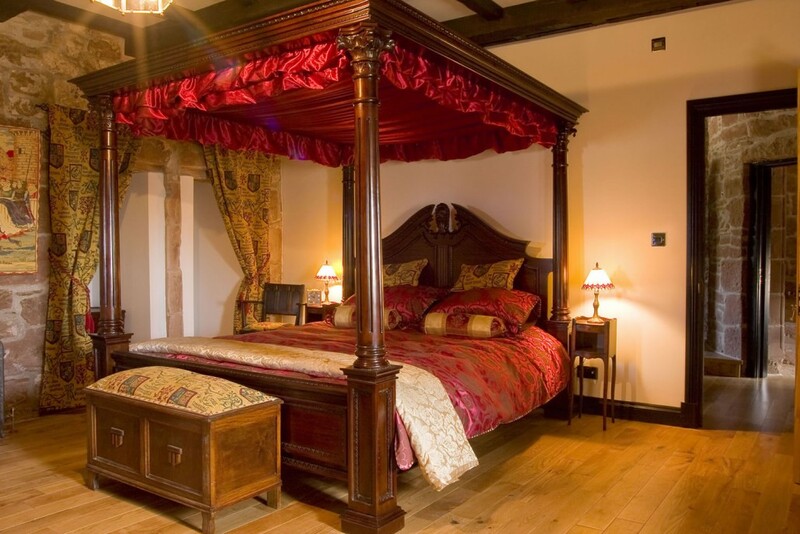 Second Floor / Master Bedroom (honeymoon suite) – the finely carved king size 4 poster bed dominates this room full of character. 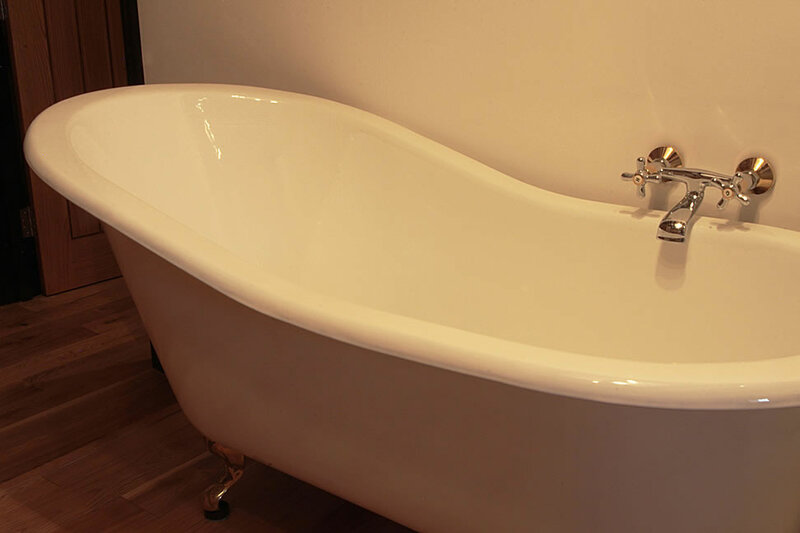 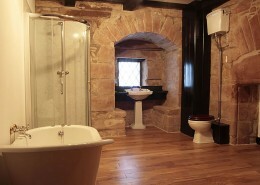 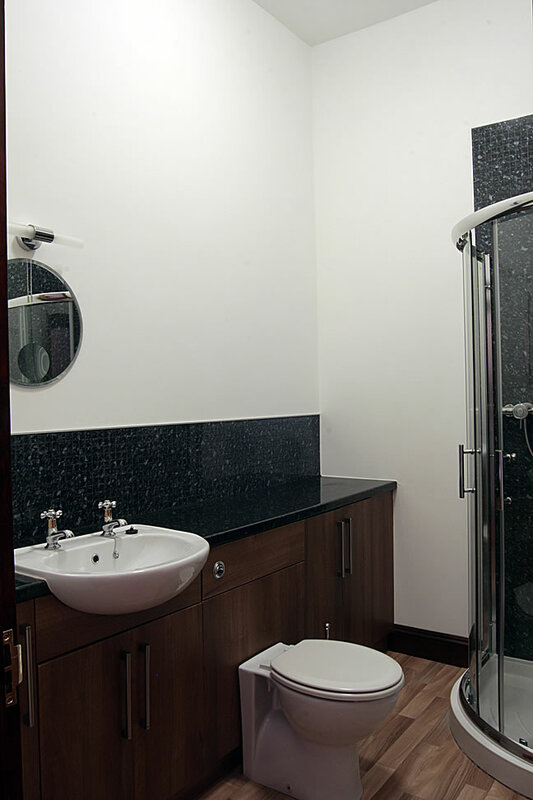 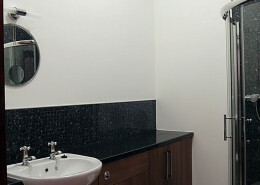 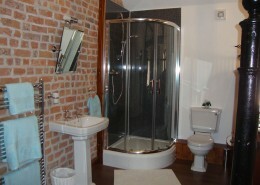 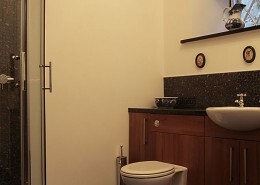 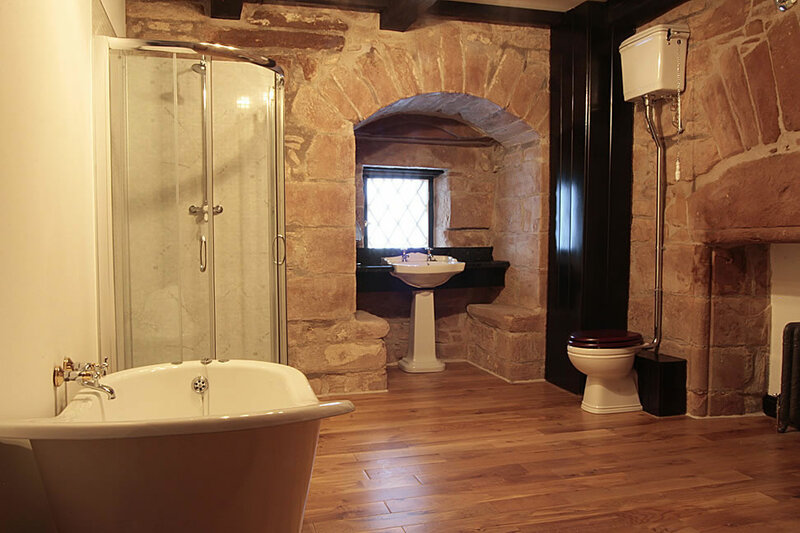 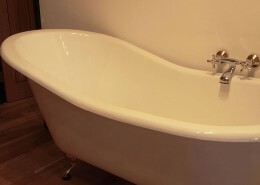 The main bathroom / master en-suite has a large shower, slipper bath and w/c. 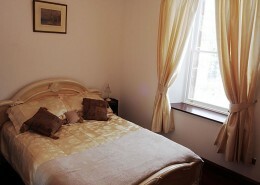 Third Floor: large bedroom complete with 4 single beds and with full en-suite facilities. 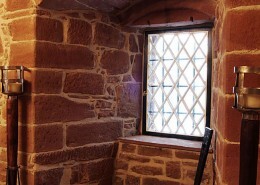 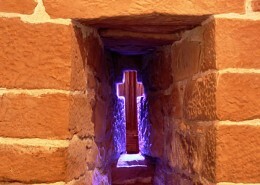 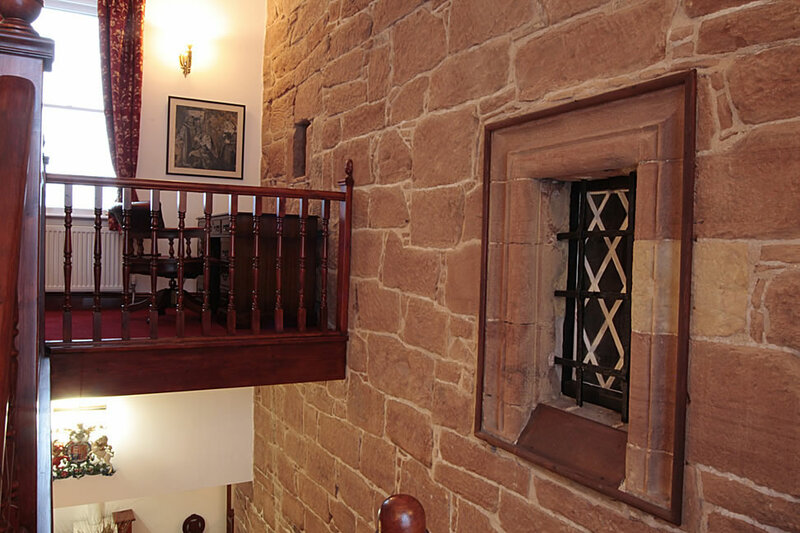 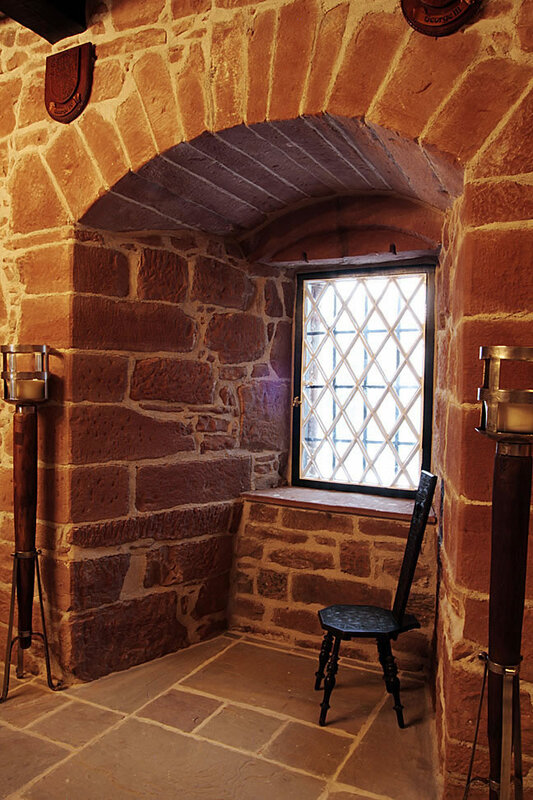 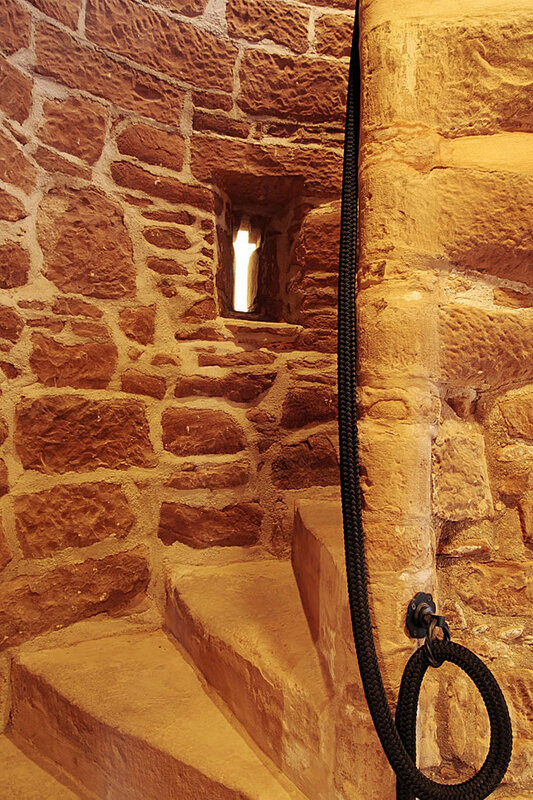 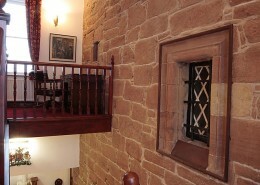 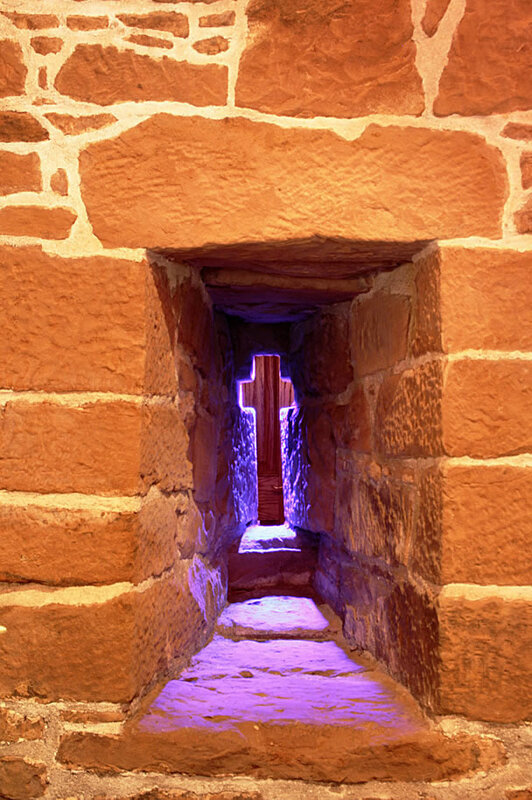 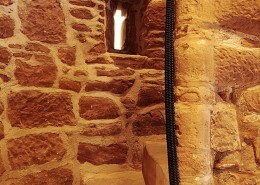 N.B: access to the Tower rooms are via spiral staircase. 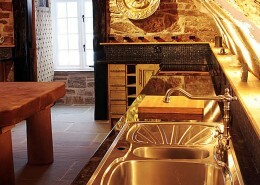 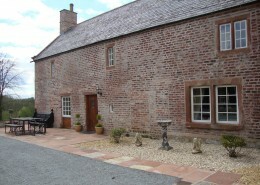 Outside the Cottage guests have access to 2.5 acres of gardens, a gas bbq and woodland and river walks. 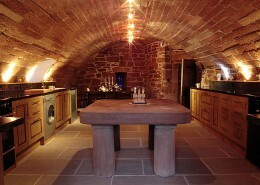 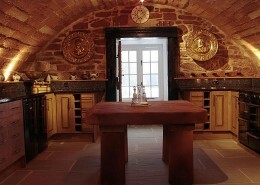 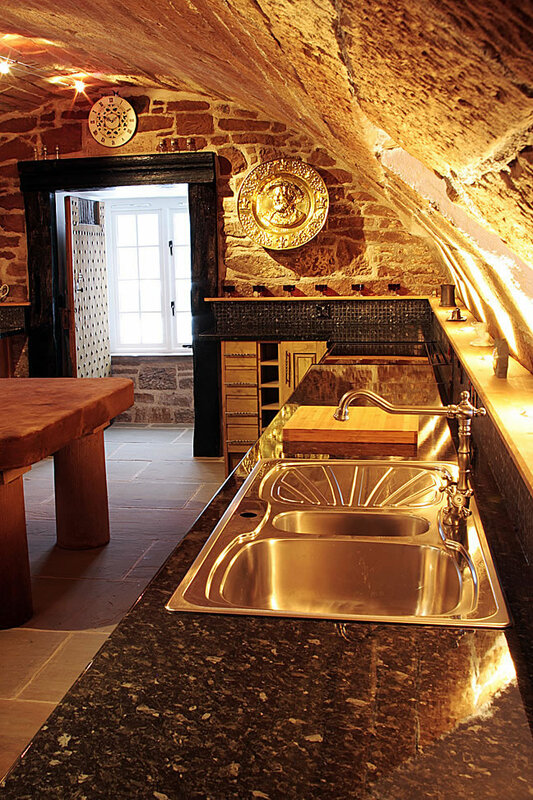 Downstairs comprises the entrance into kitchen / dining area (complete with W/C) and a spacious lounge. 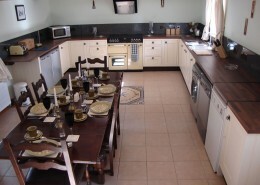 Kitchen includes fridge, freezer, washer, dryer, dishwasher, microwave etc. 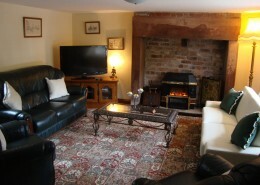 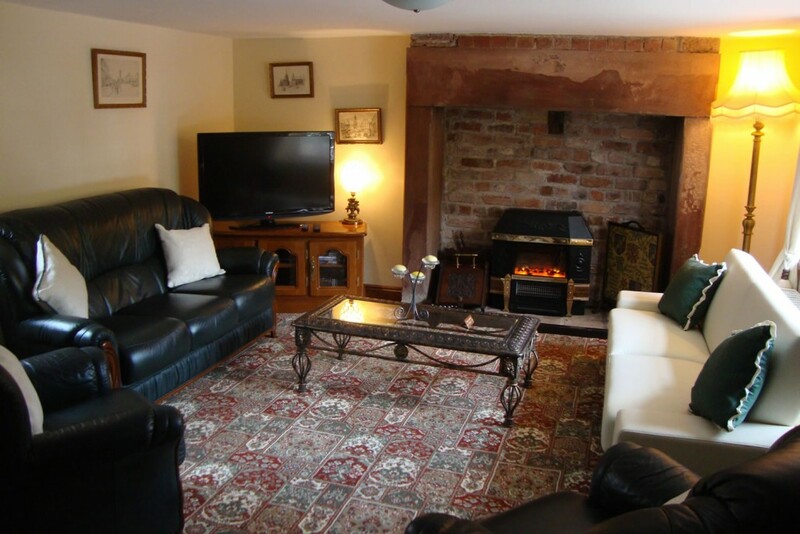 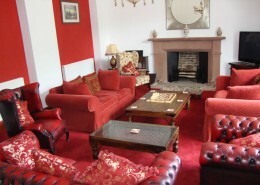 Lounge spacious lounge complete with inglenook fire place, 48” plasma TV, DVD (selection of titles) CD and Hi Fi along with a selection of books, tourist information and games. 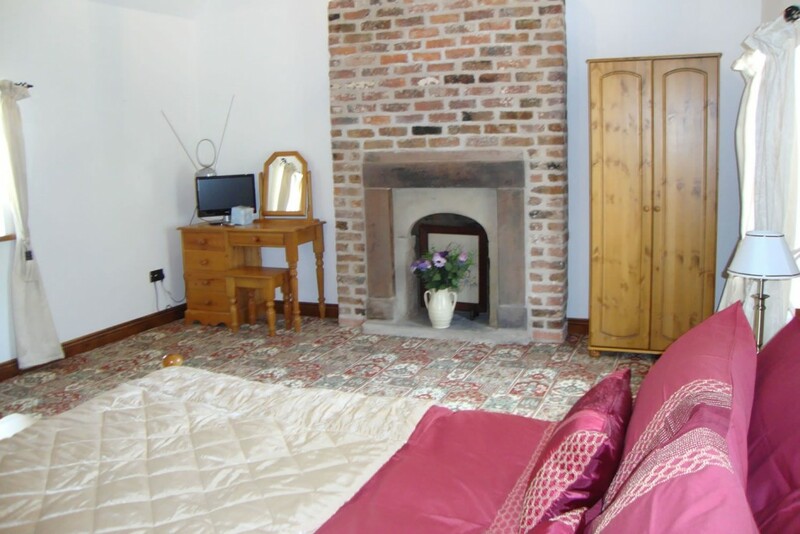 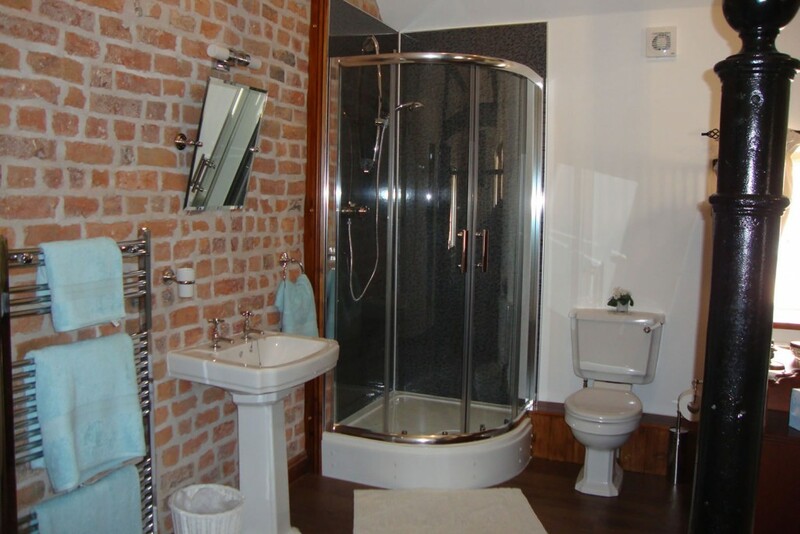 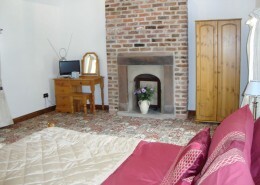 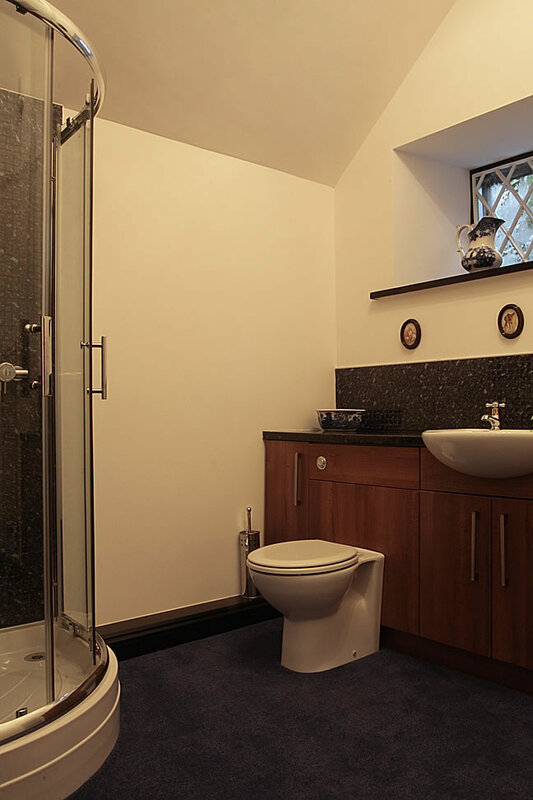 Upstairs comprises two bedrooms and main shower room / en suite for bedroom 1. 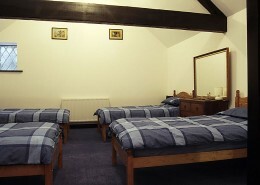 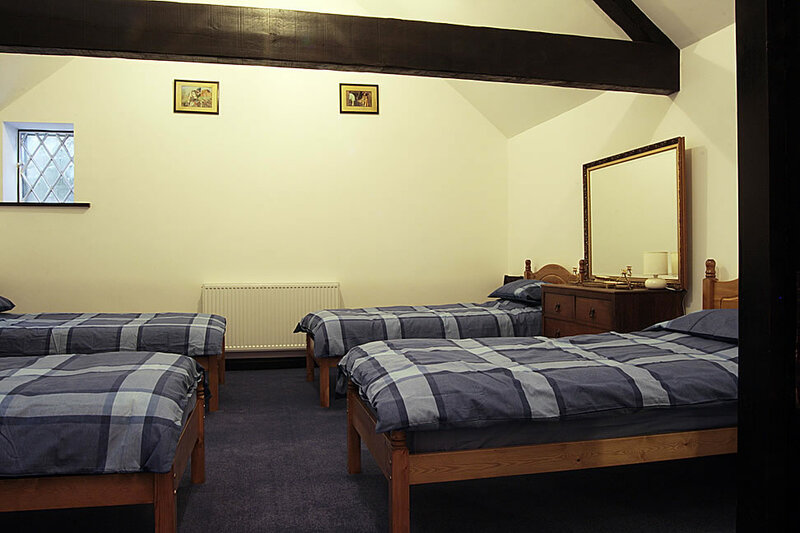 Bedroom 1 is a large double bedroom with exposed wooden beams. 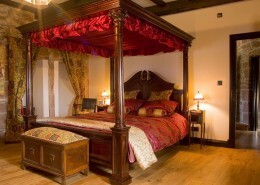 Double sofa bed for extra sleeping space in this bedroom. Bedroom 2 is a large en-suite bedroom with exposed wooden beams. 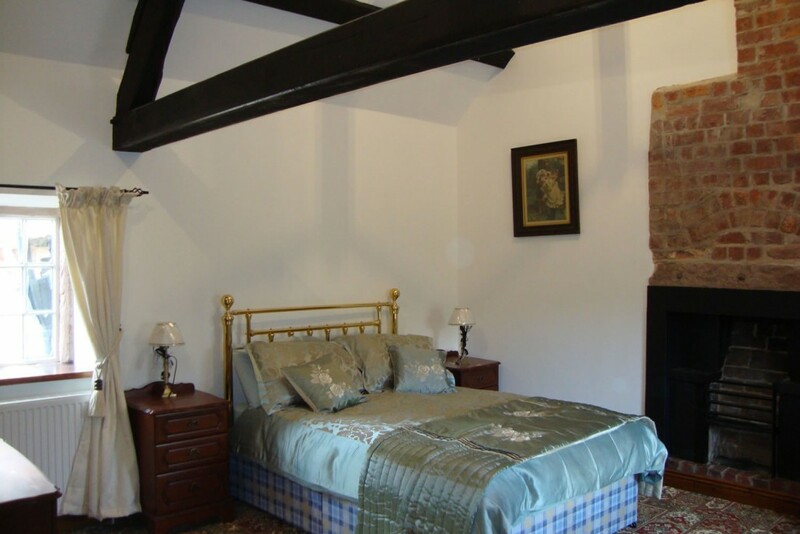 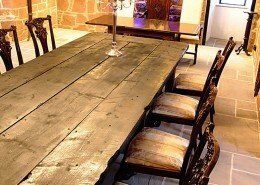 N.B low exposed wooden beams (6’) thoughout downstairs.